It’s not every day that the most polarizing man in the United States visits Williamsburg. James Comey ’82 will visit the College of William and Mary April 25 for a televised town hall to discuss his new tell-all book surrounding his embattled tenure as the director of the Federal Bureau of Investigation. This promises to be a can’t-miss event, but unfortunately, it seems too many will have to miss it. Hundreds of promising students were denied access to this event due to the College’s use of a lottery system to determine who the ticket holders would be. However, I will not be criticizing that system today. This system has already been roundly condemned by those students who were unlucky enough to not receive tickets. More importantly, it is not the source of the problem. Rather, the lottery system is a solution to the true problematic aspect of this event: venue. 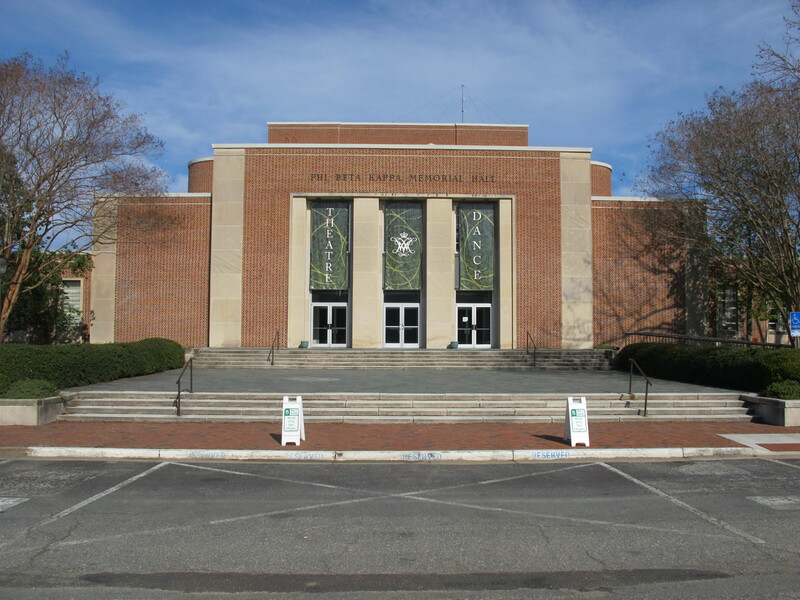 The College made a poor choice in selecting Phi Beta Kappa Memorial Hall as the location for the town hall, and Kaplan Arena would have been a superior choice for safety, accessibility and aesthetics. Obviously, with a speaker as mired in controversy as James Comey is, security is a paramount concern. However, Kaplan has long hosted high-ranking government officials and celebrities without incident. Just this year, recently inaugurated Virginia Governor Ralph Northam visited the College and spoke to a large group of students in Kaplan. The staff of Kaplan, alongside police and Northam’s bodyguards, were on hand to ensure the safety of the governor, and the event went smoothly. This has been yet another year in which Kaplan has served as a perfect venue for prominent speakers without any security glitches. Having addressed that concern, let’s consider the capacities of PBK and Kaplan. Kaplan can host nearly 10,000 students, teachers, faculty, alumni and other guests, while PBK has only 763 seats. The College unnecessarily limited the number of students who could attend this event by choosing to host it in the significantly smaller building. If this event had been hosted in Kaplan, not only could every student who entered the lottery have been given a ticket, but every single student at the College could attend in addition to 4,000 other guests. The College’s main problem with their selection of PBK is simple: image. This event will be hosted on CNN and televised to the entire nation. Given the recent controversy surrounding Comey and his ability to attract attention that is perhaps only rivalled by the president himself, millions of viewers will be tuning in. But the focus is not on Comey alone. The College, too, will be featured and placed in the spotlight of the national media for the entire country to see. Students will ask questions, the camera will pan over the faces of the audience, and each comment by Comey will be met with the variable reactions of the crowd, ranging from laughter and applause to reverential silence. For many, this will be their first introduction to the College, and we, as a university, have the responsibility to ensure that we make a good impression. How do we do this? How do we show the nation what the College is all about and what image should we put forward for all to see? There is no one answer because the College doesn’t have one image. It is 6,276 images, worlds and perspectives merged into one, a collision of beliefs, experiences, heritages and irreplaceable life stories. Each student is a unique and irreplaceable component of the College and is a vital part of the place we call home. No one can fully understand the College from merely a subset of its students. We are too diverse, too different and often too diametrically opposed from one another to be understood from only one segment of our population. By limiting this event to only a few hundred students, we give the nation only a partial view of our community overall. That is an incomplete image that will remain long after the cameras stop rolling. Email Reid Champlin at rjchamplin@email.wm.edu.